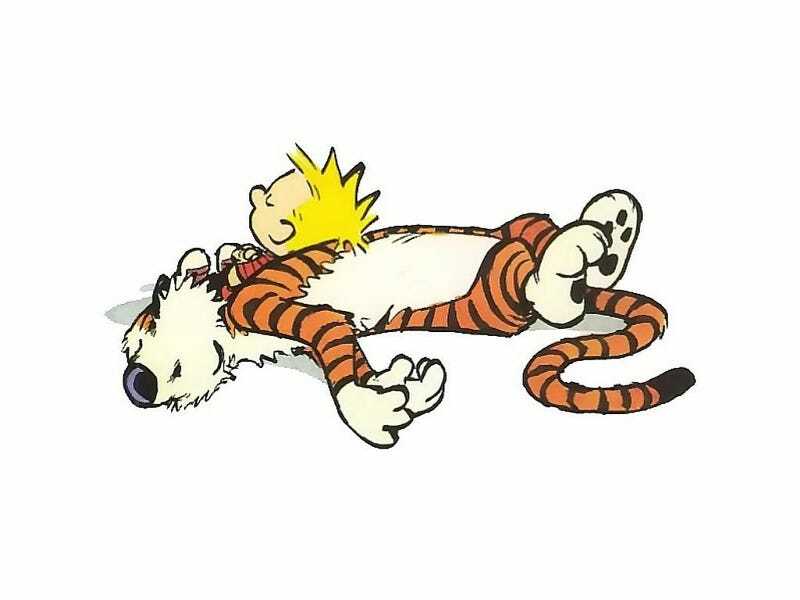 I grew up reading Calvin and Hobbes, as many people my age did. My daughter loves the strip even more than I did, and I'm sure she isn't alone in this. The little boy and the wise tiger have transcended generations, and they will take their rightful place amongst Gilgamesh, Achilles, Odysseus, and Shakespeare's characters. They will inspire hundreds, thousands of future generations, and it is Hobbes who will be the chief inspiration for the rise of the Malanites. Even as the Offshoots are creating their own destinies, so too will they be experimenting on animals, enhancing their intelligence. The Offshoots will do this for a variety of reasons. One reason will be the desire to communicate with animals as easily as they communicate with each other. Another reason will be to give the animals champions to protect them from unscrupulous Offshoots. Yet another reason will simple audacity; the Offshoots will artificially evolve animals simply because they can. The first species to go through artificial evolution will most likely be the great apes — chimpanzees, gorillas, orangutans, and bonobos. They'll undergo brain enhancements, gene manipulation, cybernetic implants. This process will be tightly controlled and heavily monitored due to the extreme risk involved. The evolved apes, once the process is complete, will be given their freedom and allowed to settle on worlds terraformed to be replicas of their ancestral African habitat, populated by new populations of unevolved African animals including apes. The Offshoots will be very aware of history, even fictional history, and will not want to deal with a real ape uprising. The evolved apes will be the first Malanites, an entirely new collective of sentient species. Following on the heels of the great apes will be dolphins. Though they will remain primarily aquatic, genetic manipulation and rigorous training programs will result in dolphins that have flippers that can grip objects as well as swim. The dolphins will be allowed to settle oceanic planets, and soon be followed by evolved cetaceans such as blue whales, orcas, fin whales, humpbacks, and other whales and porpoises. As the millennia pass, great apes and cetaceans will be joined by lesser apes, lions, tigers, elephants, cats, dogs, giraffes, zebras, horses, cows, chickens, ravens, eagles, bears, otters, hyenas, snow leopards, snakes, arachnids, insects...the list could be endless. The Malanites will be given their freedom as they reach sentient status, and allowed to settle worlds throughout the galaxy that are suitable for them. However, things between the Offshoots and Malanites will not be completely friendly. When the Malanites discover what ancient humanity did to their evolutionary ancestors, they will be understandably upset. They may demand that the Offshoots turn over all unevolved animals over to them for the animals' safety. The Offshoots will refuse, and the Malanite Wars will rage for centuries before coolers heads finally prevail and the Malanites are allowed to take the animals. Tensions will simmer for millennia, but eventually the Offshoots and the Malanites will become close allies. Well, certain members of the Offshoots and certain members of the Malanites, anyway.